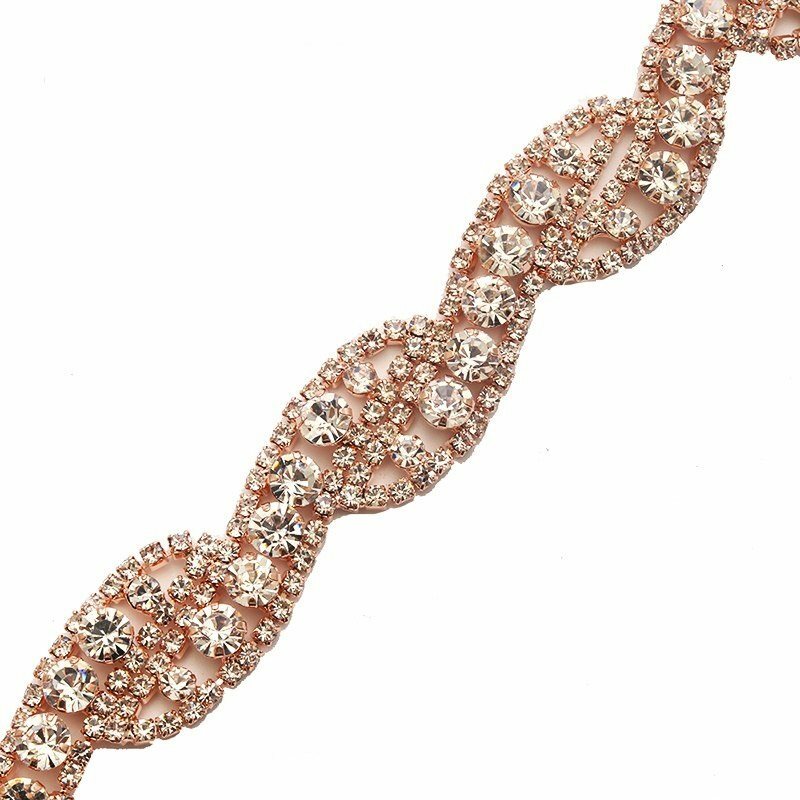 Crystal Clear Rhinestone Rose Gold Metal Backing Trim. 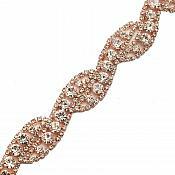 Measures approximately 1.5 cm wide. 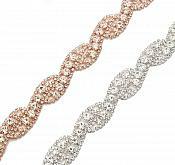 Crystal rhinestones with Rose Gold prong settings. shoulder straps and belts also.